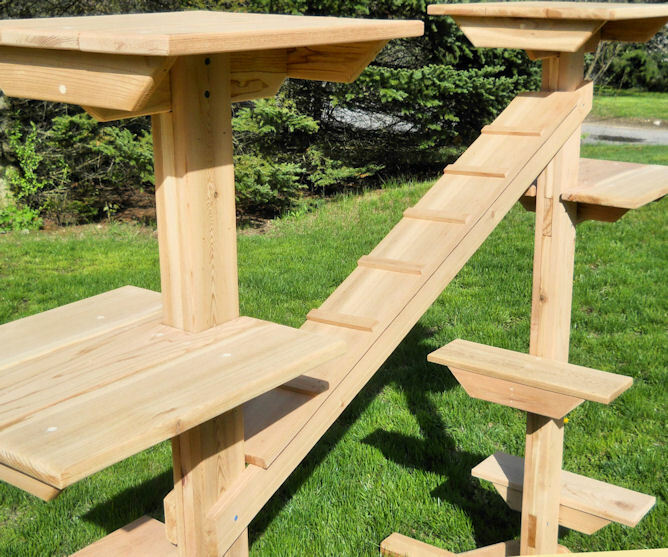 The super sized Outdoor Cat Jungle Gym is 5 feet high, with many levels for the climbing feline. 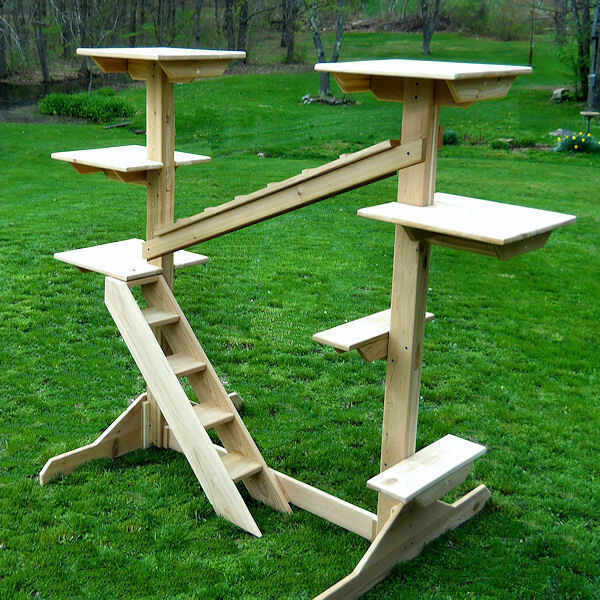 It is designed to be either challenging - jump from perch to perch, or easy - go up the stairs and ramp. The posts, which are 4 feet apart, have a total 7 perches, 2 small side post jumping perches, three 3 large side posts perches, and posts are topped with 2 full perches. 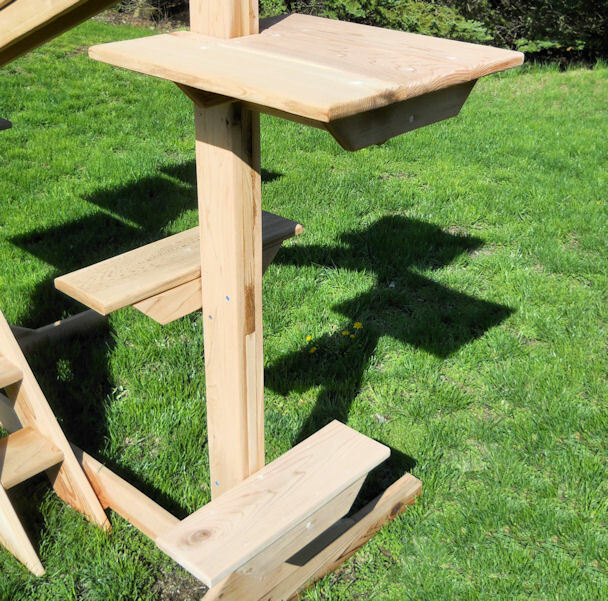 Made with weather and bug resistant cedar, it is sanded to a smooth surface. Left natural it will weather to a light gray patina or the customer can seal, paint or stain. Overall height is 62" and 78" wide. The legs are a stable 42" deep. 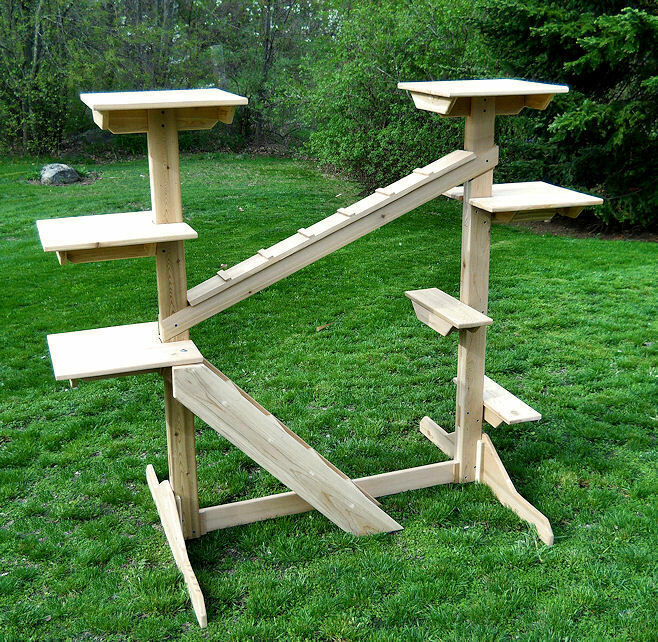 2 small climbing perches are 18" long and 5 1/2" wide. 3 large post perches are 16 1/2" wide and 18" deep with a 4" post notch. 2 top perches are a full 16 1/2" wide and 18" deep. Height from perch to perch - 15 3/4". The Ramp is 5 1/2" wide and 45" long. 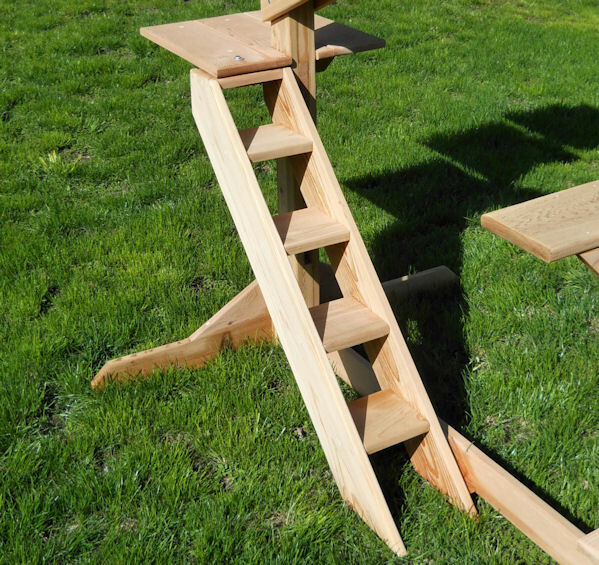 Stair / Ladder has 5 steps, each 6" wide and 6" high, set to a 45 degree pitch. Ships in 2 boxes. Assembly required. All hardware and special square head screw drive bit provided. A driver, preferably powered, is needed.